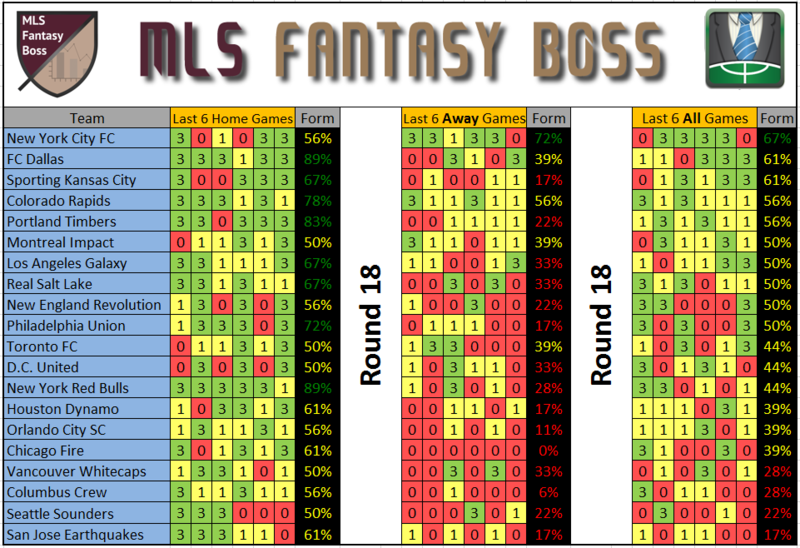 Here are the Form Difficulty Charts – Round 18 of the 2016 MLS Fantasy season and form breakdown for Home and Away games from 2015 plus the first games of 2016. If you’re not familiar with these charts, I’ll explain below. 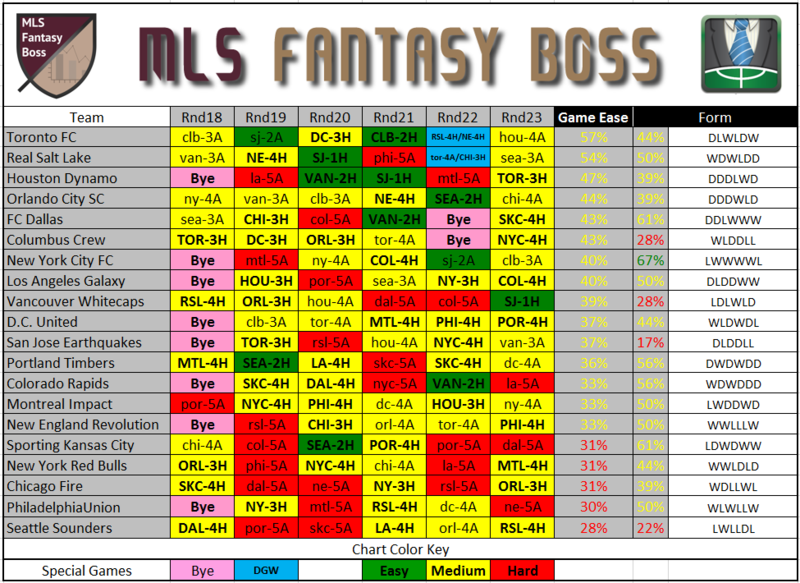 One early warning, since these charts are based on team form, the accuracy may be off some until more games have been played.